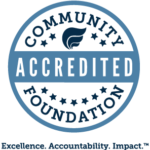 There are many scholarships available through the Community Foundation, thanks to generous donors who care about the future of your county and its young people. Awarded to a student planning on continuing their education at an accredited institution to study agriculture, veterinary science, forestry or a related field. Open to any Otsego County graduating senior. Awarded in memory of Kyle Casey , a former Gaylord High School student athlete, to a defensive or offensive lineman with plans to attend an accredited college or trade school. Open to GHS graduating students. Awarded to a graduating senior from Gaylord High School. The applicant must be a soccer player from GHS with a minimum GPA of 3.25. Qualified applicants must be entering a college or trade school in the fall of the high school graduating year. Annually, one scholarship for a male will be distributed, in memory of Brandon Brigham and one scholarship will be awarded to a female, in memory of Gene Sanders. Awarded to a student who has demonstrated an outstanding commitment of time and effort to volunteerism in our community and is pursuing higher education at a college, university or technical school. Open to any Otsego County graduating students. Awarded in memory of Kathryn M. Tripp, who taught 6th grade in the Gaylord Community School system for 30 years, to a graduating senior planning to earn a degree in Education and enter the teaching profession. Preference will be given to applicants who have displayed leadership, extra-curricular involvement and a commitment to academics. Additional consideration will be given to those who have overcome hardship or adversity and/or demonstrate financial need. Open to Gaylord High School graduating students. Awarded to graduating high school senior in Otsego County, who has overcome adversity. Preference given to students pursuing careers in education. Awarded to an outstanding student planning to pursue higher education at an accredited institution. This scholarship is needs-based and renewable with reapplication. Open to Gaylord High School graduating students. Awarded to a hard working student. Preference given to students of military families or those pursuing a medical career. Open to all Otsego County students. Awarded to a student who demonstrates financial need. Open to all Otsego County Students. Awarded to Otsego County residents that are pursuing higher education at either vocational or academic institutes. Preference given to students who have or are overcoming some kind of adversity, students that are interested in the hospitality field and those that have relatives that are or have been employees of Treetops Resort. Awarded to a graduating senior pursuing a 4-year nursing or medical degree. Open to any Otsego County graduating student. Awarded in memory of Jason Mead, a graduate of Gaylord High School, to a student who has participated in music (curricular or extra-curricular) activities and plans to attend an accredited college, university or institution of higher learning. Open to GHS and St. Mary graduating students. Awarded to an outstanding Otsego County sophomore or junior college student pursuing a BS degree in the science field of study at an accredited institution. Additional consideration may be given to financial need. Scholarship is renewable. Awarded to Otsego County high school graduates who have a 2.0 GPA or better and will be attending an accredited institution to continue education in a vocational field or skilled trade. Open to any Otsego County graduating students. This is an electronic process. To prepare please collect two letters of recommendation. In addition you will have to upload transcripts and SAT or ACT scores. If your test scores are part of your transcript you do not need to upload separately. Enter your information to pre-qualify for a scholarship through the Otsego Community Foundation. Once you complete the pre-qualifying questions, you will select which scholarships you want to apply for, by clicking the box next to each scholarship name and continue to the application. In addition to filling out the application you will be asked to upload two letters of recommendation, transcripts and test scores (often included on transcript). Your application will not be considered complete until all the requirements are uploaded. If you are already a registered Scholarship Applicant with the Otsego Community Foundation, please log in for more detailed data, including your application history, applications in progress, and status. If you are an Early College Program Participant, you need to apply in your fifth year, the last year of your Early College Program.